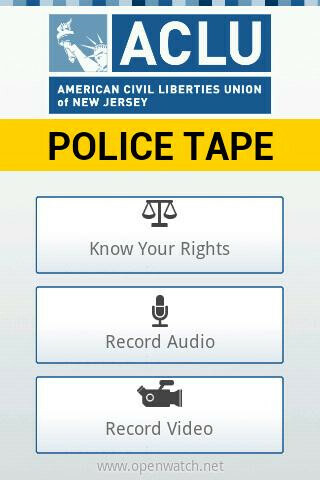 ACLU has your back during your next police encounter with "Police Tape"
We've all heard the horror stories. You're pulled over by the cops for a minor infraction (not an infraction with a minor, which is another story altogether). Popo is your friend, asking if you have something he needs to know about in your pocket like a bazooka. The sense of humor is supposed to take your guard down. You figure that this particular cop looks as threatening as Barney Fife, so you consent to a search of your car which turns up some contraband that the good officer had just so happened to have on him. All of a sudden, you're wearing handcuffs and a concerned look. Had you downloaded the ACLU of New Jersey's Police Tape app, not only would you be looking at dropped charges, you'd have a bunch of new lawyer pals and soon hear about Officer Joe's arrest by IAB. The app secretly records video or audio of any encounter and once you select which option to use, the app appears to have closed when in reality, it is saving you from something very bad. 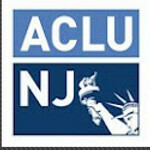 Anything recorded is sent to the ACLU of NJ for their review, and is stored on a secure server that the cops can't get to. 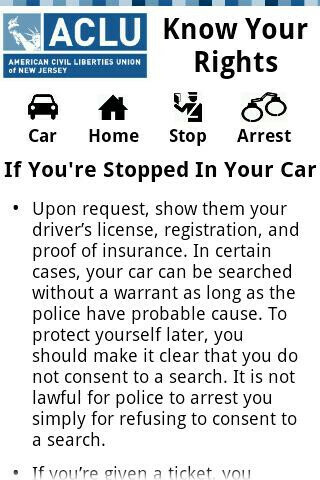 The app also contains lists of your legal rights, so when PoPo says that he wants to search your car and if you don't consent to it he will arrest you, you can tell him (politely, of course) that he can't do that. We don't know about you, but an app that can keep us out of prison is one we want on our phone. Police Tape is available foir free from the Google Play Store for those using Android 2.2 or higher which is just about everyone without a Garminfone. An iOS version of the app is awaiting Apple's approval, which should be later this summer. There was another app (and story about the app as well) where the app records the users GPS data. In the story, the app provided proof that the handset's owner was not speeding while the Po-Po claimed they were speeding and submitted 'evidence' from a radar gun to substantiate the charge. When the judge asked the Po-Po when the radar gun was last calibrated (or whatever is done to confirm the reading is accurate), the Po-po's response was "I don't recall...." Case dismissed. Does anyone remember which app that was? It was supposed to be on the Android market. I remember that article. I'd like to know too! I was hoping Daniel might join the discussion, since he was kind of the only one doing the heavy lifting posting articles on PA at the time. Yeah the poor (ghetto) writing in this article and the shady stop-motion video as well as the supposed audio recording, which I think is considered illegal wiretapping whether you like it or not, makes me pass on this. Someone else also mentioned an app that records GPS location and time. I dunno how reliable something like that would be, and its completely up to the judge's whim.